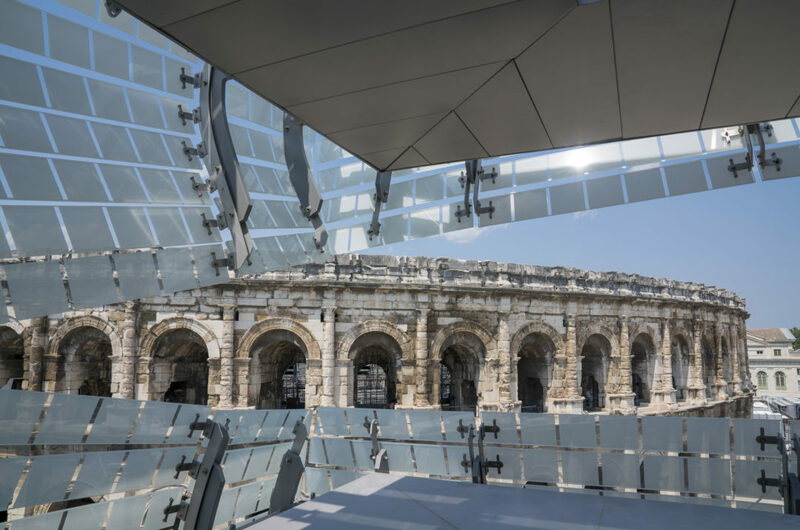 In the continuity of the overall architectural approach, the spatial distribution of the exhibition rooms is organized around the reconstruction of the pediment of the Sanctuary of the Fountain, which takes place in the atrium located in the inner street that connects the square in front of the Arena to the archaeological garden. 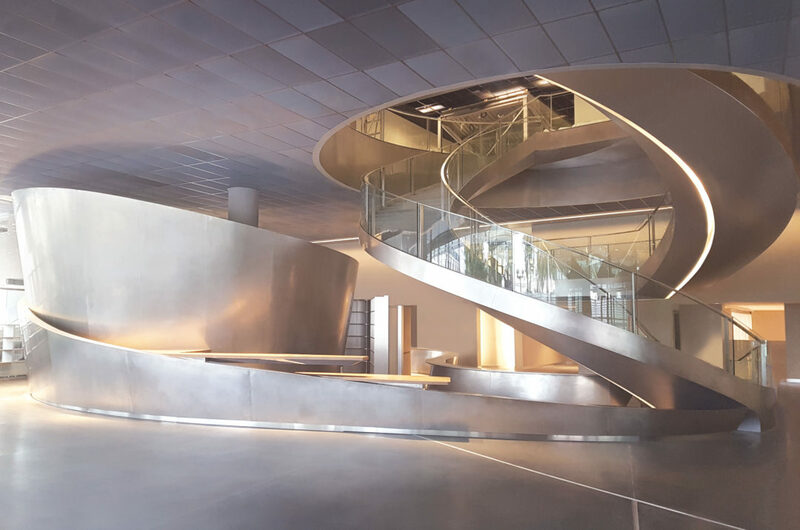 This inner street is visible from all floors and creates a visual opening connecting all the spaces of the museum. 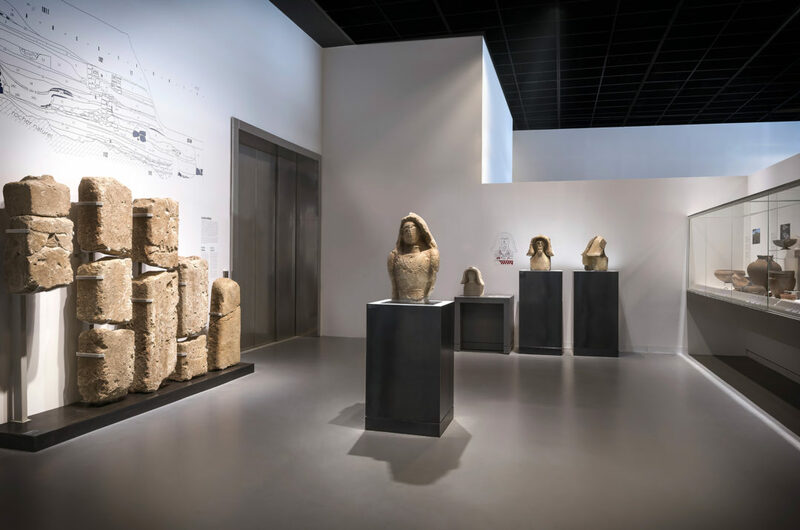 About 5,000 pieces are presented according to a chronological and thematic itinerary structured into major periods from the 7th Century BC to the Middle Ages and the Roman legacy in the 19th Century. The interior design complements and accompanies the architecture of the building. Throughout the ascending path, the museography is open, in a search for the desacralization of the museum and of culture. 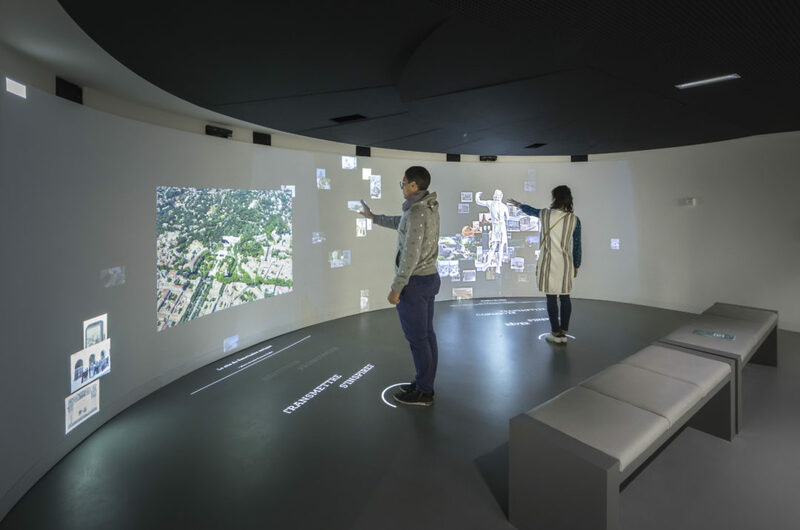 The routes consist of urban indoor walks, squares, streets (traffic areas), built elements (volumes, exhibition furniture, semi-open spaces, etc. ), bringing the urban space up to the upper spaces of the museum. 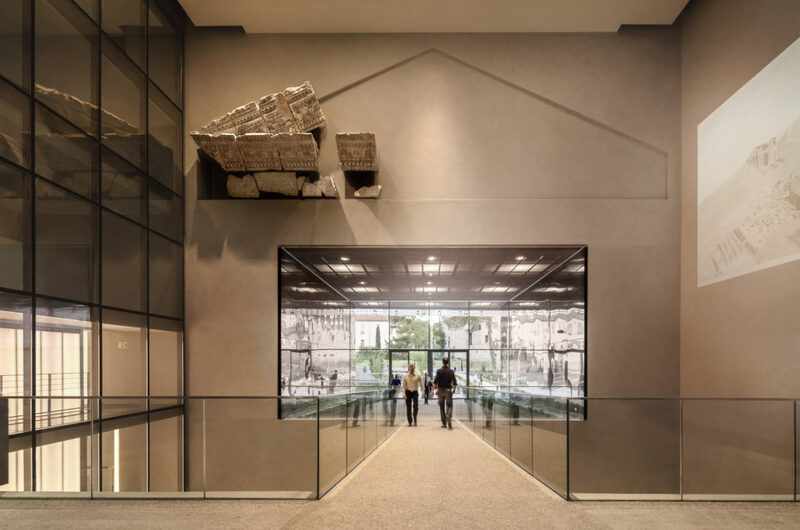 This museographic approach brings the city into the heart of the museum and underlines the idea of the absence of border between outside and inside, an idea that is accentuated by the openings in the facade that reveal and offer differente frames over the the city. Built around the Roman enclosure and other remains, the archaeological garden is designed as a “planted museum”. All traces of history are freely accessible to all visitors and walkers. 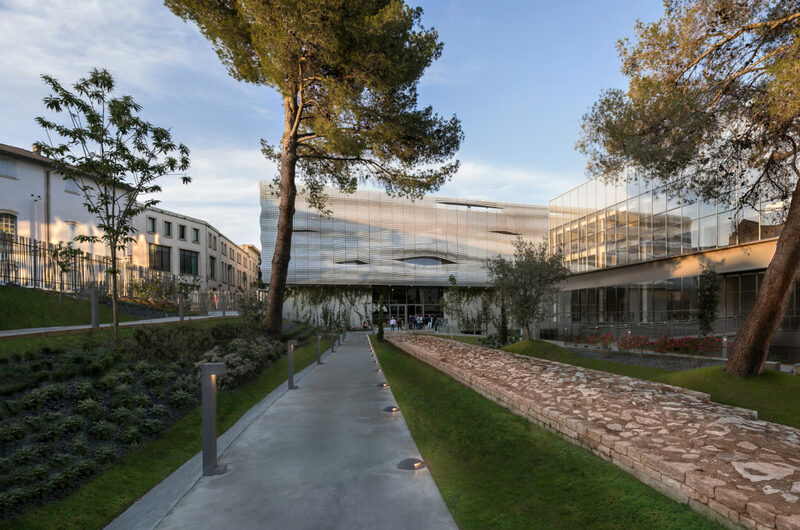 This 3,500 m² public garden designed by Régis Guignard is structured in three layers corresponding to the major periods – Gallic, Roman and medieval – of the history shown in the museum, thus enriching and completing the scientific content. Entirely open, the garden is an integral part of the surrounding urban fabric: the accesses linking Ducros street to République street allow it to be crossed as a public space. It is a place of transition and encounters, a new place of urban conviviality. 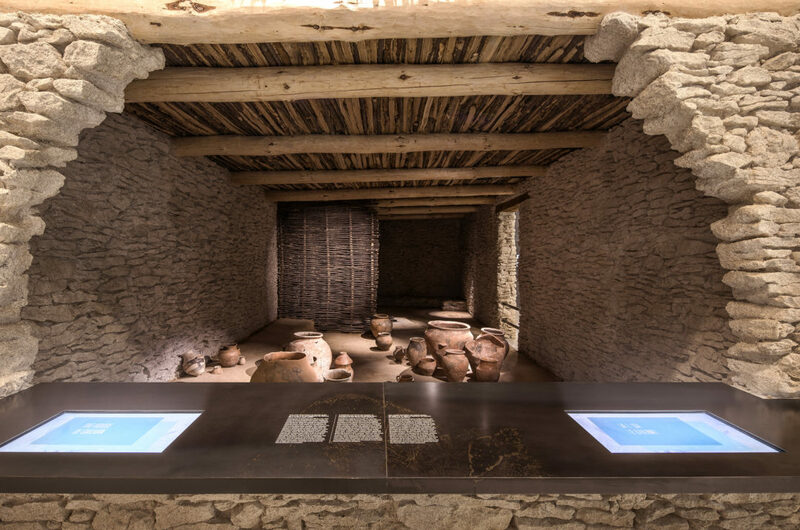 The integration of cutting-edge multimedia devices into the museum’s itinerary has been balanced. 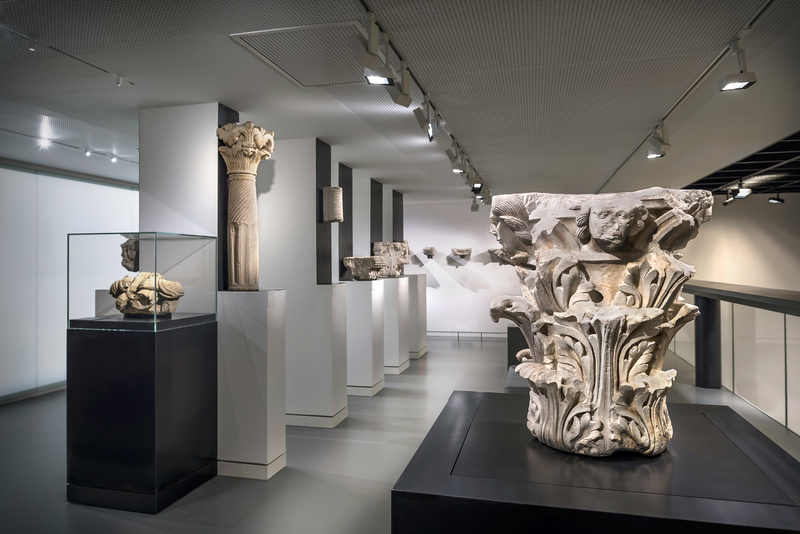 Some subtle reconstructions and multimedia supports punctuate the itinerary and help to know better and understand Roman civilization. Bright white boxes, called “knowledge boxes”, open the three chronological sections of the trail. 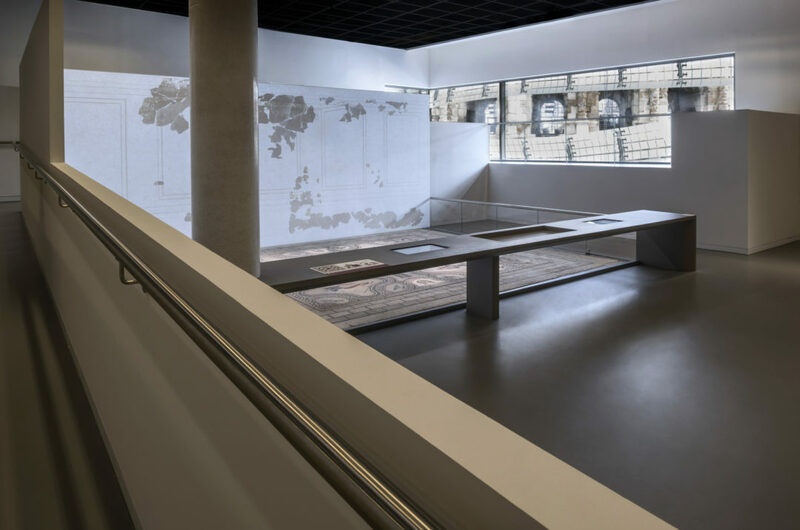 This method created by Elizabeth de Portzamparc serves as an introduction to the different sequences: maps, timelines, screens present and contextualize the periods presented. 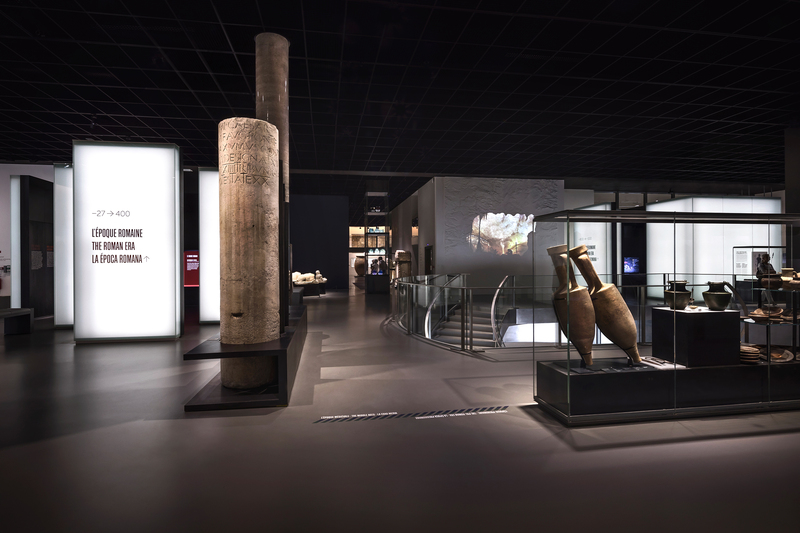 Multimedia supports such as virtual tours, graphic animations and maps provide a better understanding of the context of the collections. Augmented reality devices, 180° interactive panoramas and the interactive image wall are designed to project visitors into the lives of ancient men, so they can understand the evolution of their know-how and the masterpieces they have produced. Design of the new master plan of the Grill district. Construction of the « Musée de la Romanité » and the archaeological garden. Museography.